I recently attended an Islamic craft event where everyone was designing mugs to donate for funding. 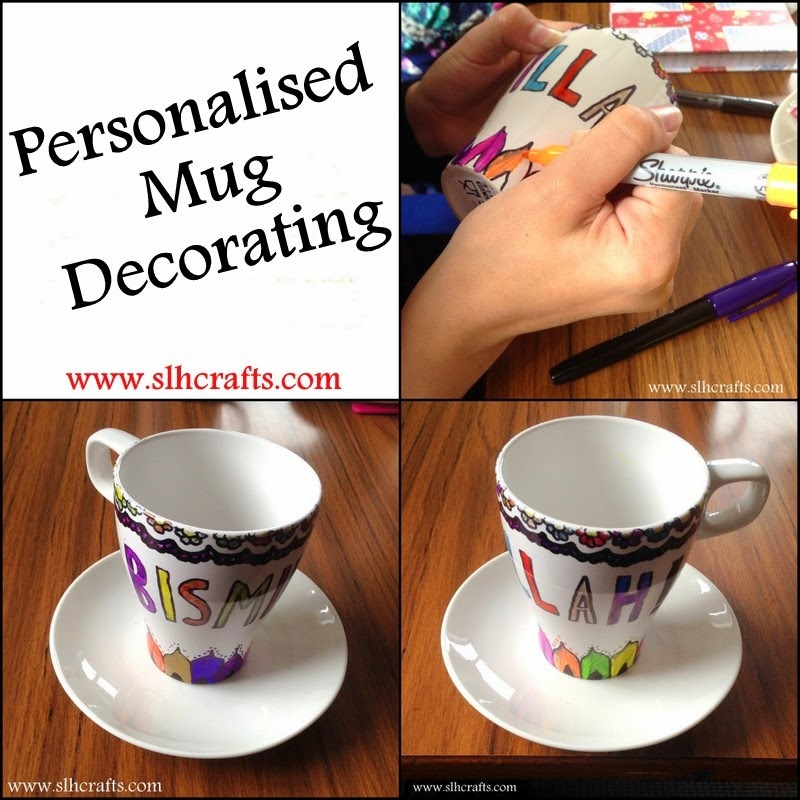 I decided to write the name 'Bismillah' onto the mug with a nice outlining design too. We used sharpie pens to make the design and then afterwards they were to be placed into an oven to help the design to set. There are many online tutorials showing you how to do this if you wish to have a go yourself.